In my upcoming release, Crazy About Cait, (The Cowboy’s Bride Collection, I show the devastating effects of the of the drought in 1860’s California. One of the problems concerned the lack of good feed and the danger of locoweed poison. 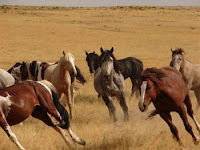 A rancher’s herd could be decimated within a very short time. The 1860’s in California was a decade of difficulties with weather. Prior to 1860, they went through nearly two decades of dry weather with little rainfall. Farmer’s and ranchers prayed for rain and for the drought to stop. In December of 1860 and January of 1862, torrential rains fell. Much of California suffered from floods and mudslides. People, cattle and horses drowned in the fields. Whole communities were washed away and everyone died. Months passed before the waters completely receded. By 1862 the drought conditions returned in full force. While the hearts and minds of the people in the east were mired in the Civil War, residents in California fought to retain their livelihood as the water dried and their livestock died off. So, where does locoweed come into this? In times of good grazing, locoweed is there, but also there is plenty of healthy grass to eat. 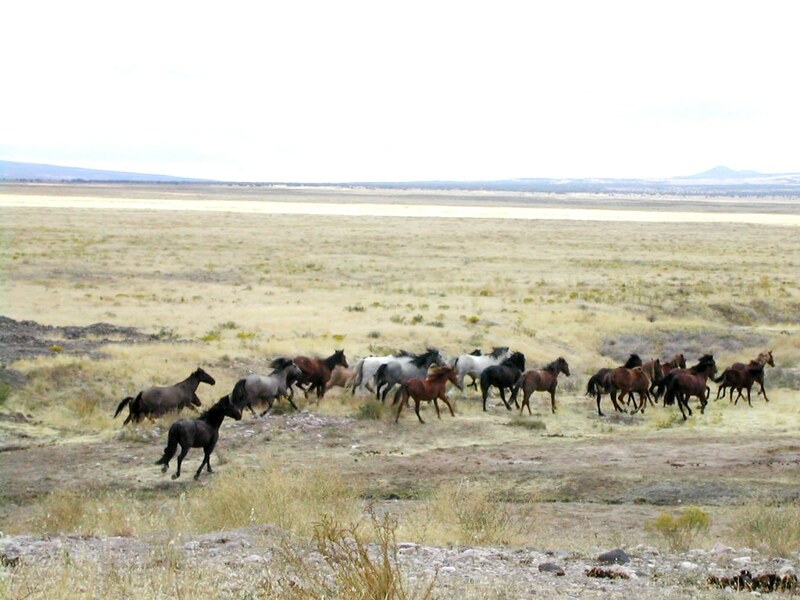 Rancher’s could keep their stock in the areas that were free of the poisonous weed. 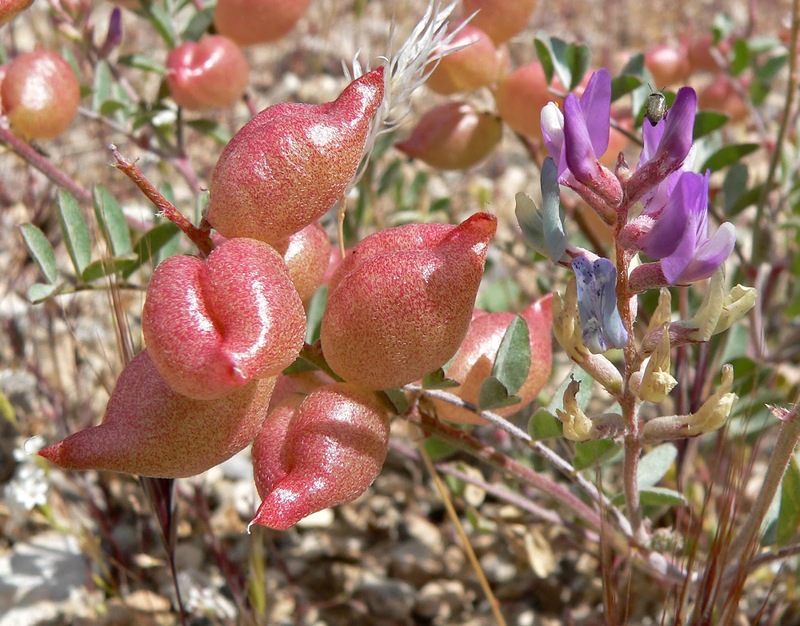 But, in times of drought, the edible graze dies off leaving the stunted, but edible locoweed. Starving livestock will graze on anything, not realizing the plants will not nourish them, but have the opposite effect. Horses are especially susceptible. contains something called swainsonine. During the wet years, the swainsonine is there but in more diluted quantities. 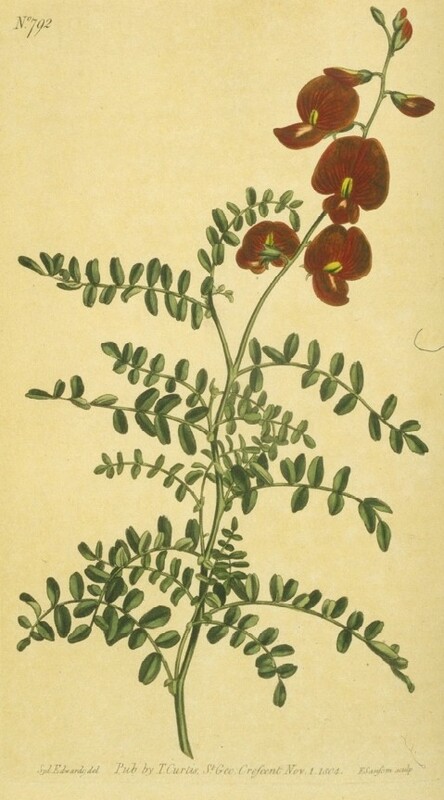 In drought years, when the plant is stunted, the swainsonine, or poison, is much more prominent. 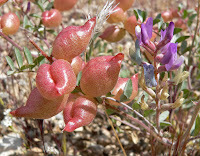 Thus, the livestock feeding on the locoweed during drought conditions consume more of the poison than they would in other times. Once the animal consumes the locoweed, all of their body systems are affected. At first, the horse, or cow, appears normal. The symptoms don’t show up right away. When they do, the animal often appears to be starving, which during drought conditions is often the case. At first, the animals are reluctant to move, have a loss of appetite, and in a few days they will show subtle tremors as they walk. Soon the weight loss is more severe, they become nervous when stressed. Neurological disturbances cause them to be difficult to work with. They panic, become depressed, or even aggressive. the poison can be passed to the young through the mother’s milk. In the 1860’s, ranchers had to sell much of their livestock, which flooded the markets, driving down the prices. 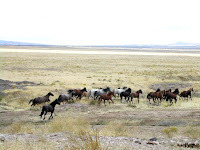 Some reported driving part of their herd into the mountains to save the rest. They just didn’t have the feed they needed for all the animals. 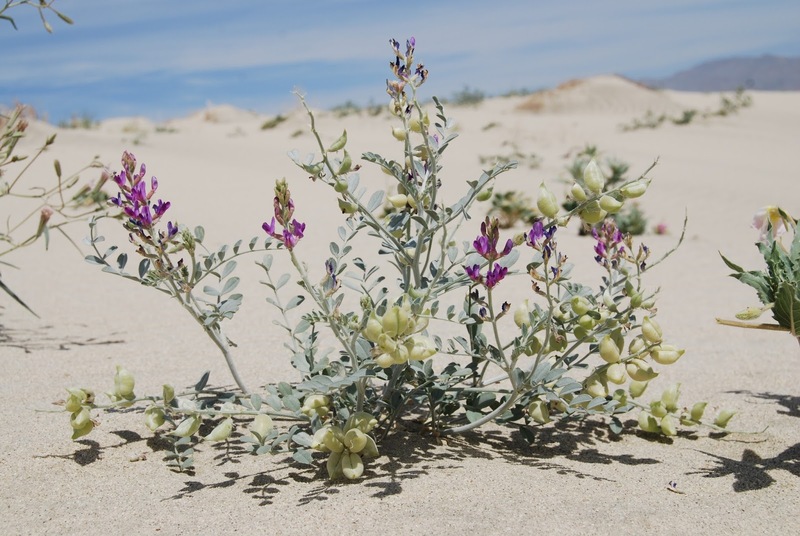 Have you ever heard or locoweed, or perhaps seen the plant? 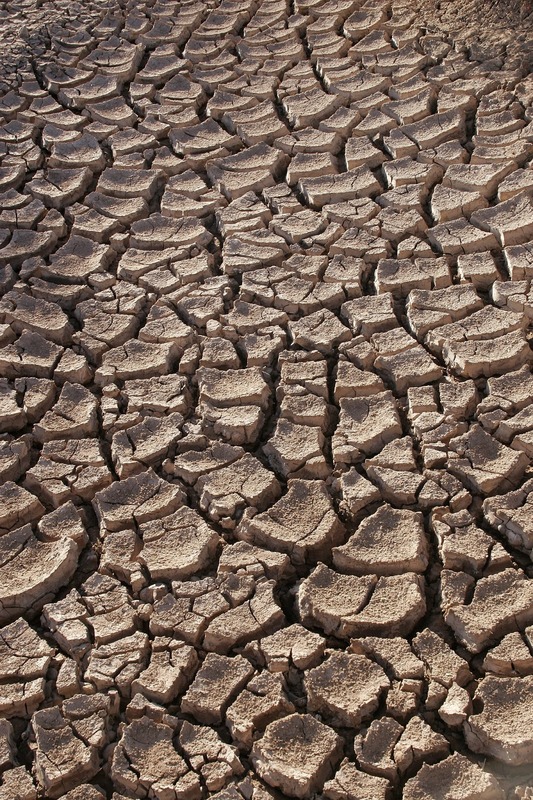 Have you ever been in drought conditions where you had to ration water? I’d love to hear from you. Please leave a comment below to be entered in a giveaway for a copy of The Cowboy’s Bride. In Nicaragua (missionaries here) some of the banana farmers are going through drought. Where my daddy has a giant irrigation well setup, these guys here are taking turns, turning by hand their driller, trying to make a well. Wow, Melody. Thank you for sharing. It's hard to imagine how difficult that would be. 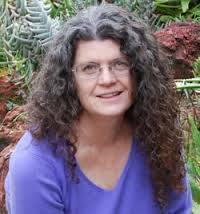 Connie, I remember how people using their own wells would have to watch their water usage too. Thank you for commenting. Thank you for your interesting post, Nancy. I am so thankful that we have not experienced drought like you talk about. That is devastating! I have heard of locoweed and sure hope our place doesn't get pieces of that plant anywhere. Poor animals! Melanie, Thank you for commenting. The effects of locoweed are terrible and very sad to read about. Living in Texas one does experience drought. I thank the Lord that the drought is now broken in Texas! Caryl, I have friends in Texas who had a difficult time with the drought. I'm very glad it's over too. Thank you for commenting. That was an interesting read. I love learning about the way people lived and the hardships that they had to live through. I have not heard of locoweed before and have heard of droughts happening, but have not experienced one myself. Heather, Thank you for taking the time to comment. The people in that time period certainly did experience hardships we don't face today. I don't think I ever heard of that weed! How sad to have it so prominent and the cattle eat it. Never had to ration water, thank goodness! Susan, Thank you for commenting. Yes, it would be sad to see your livestock hurt by the weeds they eat. Yes I've heard of and seen locoweed but I have never had to ration water luckily. Wendy, I have had to ration water, but not to that extent. Thank you for commenting. Wow. Didn't realize all this. At this age we still hear about drought and how that affects farmland. Locoweed and drought for ranchers are difficult too! Thanks! I love HHH and the wealth of information it provides. Thanks for the giveaway too! Annie, Thank you for taking the time to comment. I'm glad you enjoy HHH. Betti, After living in the desert for so many years, I've learned to be very careful with water usage. I, too, consider every time the water is running. Thanks for sharing and for liking HHH. Thank you for combining entertainment and education! I had read of locoweed. Living in the south, I have been through 2 drought conditions where water was rationed. One was where you were allowed to water outside gardens and lawns every other day, and once where no outside watering was allowed. The lawn and gardens suffered, but you do what you have to do. Janice, I've experienced those drought conditions too. It's sad to see gardens and lawns die off, but we have resources these people didn't have. I'm thankful for that. Thank you for commenting. I have not heard of locoweed or have ever had to ration water,just sometimes in the summer we have alternate days for watering the grass. My son always gives me a water update (northern California) every time we chat though. Thank you for another interesting post! Linda, Thank you for commenting. Yes, Northern California has had some drought and water rationing. Thank you for commenting. I've seen it but never realized it could be harmful to cattle. Thanks for sharing this fascinating information! Can't wait to read your story and the others in the collection! Heidi, I'm so glad you enjoyed the post. Thank you for commenting. Nope born and raise in northern new jersey been living in the midwest for about 35 years but have never heard of the plant. kamundsen44ATyahooDOTcom. Kim, Thank you for stopping by. I'm not sure if locoweed is found in the midwest, but if not, that's good. Such an interesting post, Nancy - thank you! !I don't recall ever hearing of locoweed, or seeing it, likewise - I wasn't aware of it's effects on animals. I've been blessed in never having to ration water. 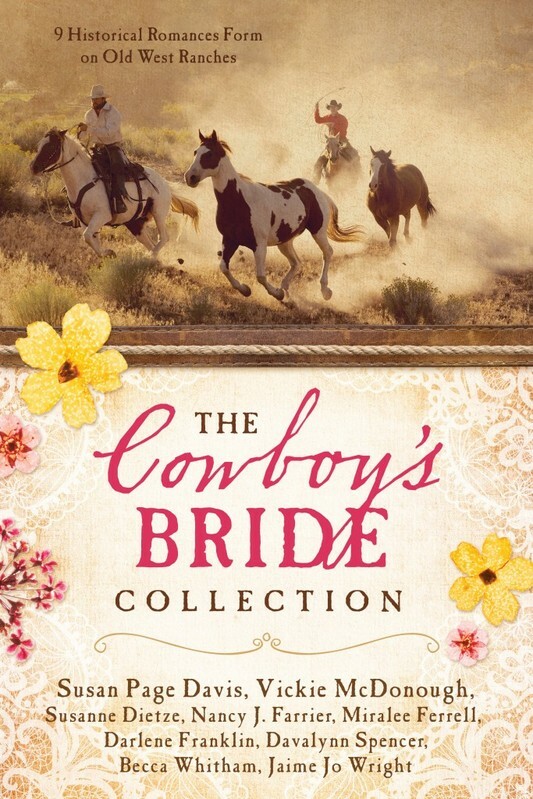 Thanks for the opportunity to win a copy of "The Cowboy's Bride" Collection - I'm so looking forward to reading it!! Bonnie, Thank you for commenting. I'm glad you enjoyed the HHH blog today. Jan, Yes Texas has experienced some severe drought. I remember people having to drill new wells to go deeper for water. Thank you for taking time to comment. This looks & sounds like such an awesome read!! Thanks so much for doing this giveaway for your readers! Have a Blessed day! Wenona, Thank you for stopping by and for commenting. I have never heard of the locoweed before. Very interesting I feel bad for those animals :( Only ever had to ration water in CA on a weekend waiting for water company to turn on the water. Leyna, Yes, we have experienced times when the water company hadn't turned the water off and we had to watch our usage. Thanks for commenting. What an interesting post! I've heard of locoweed but had no idea how it affected the cattle. Merry, I'm glad you enjoyed the post. Thank you for commenting. Thank you, Nancy, for sharing this interesting and informative post! We have experienced drought conditions here in northeast Texas, but not to the extent that we had to ration water. I'm in the midwest and haven't experienced drought first hand but I love coming here to HHH and learning about what you authors dig up! Thanks so much for sharing.